BUT YOU HAVE NOTHING TO WEAR? Inspired by the Fashion Styles of France! 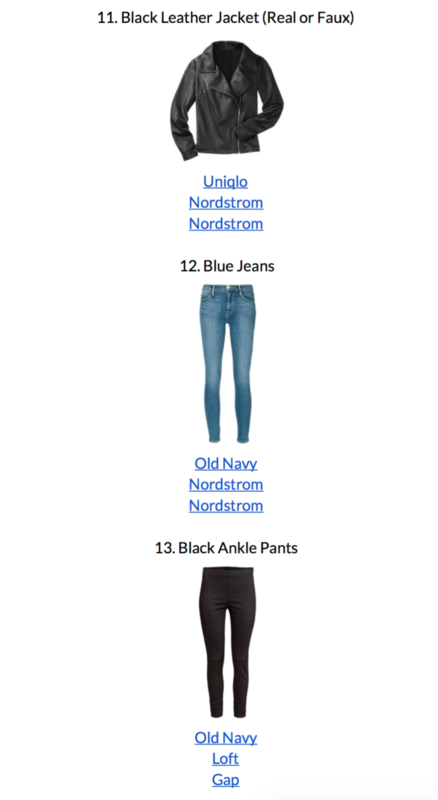 OVER 13,000 CAPSULE WARDROBE E-BOOKS SOLD! * Due to being a prior season eBook, products in the shopping links may not be available. 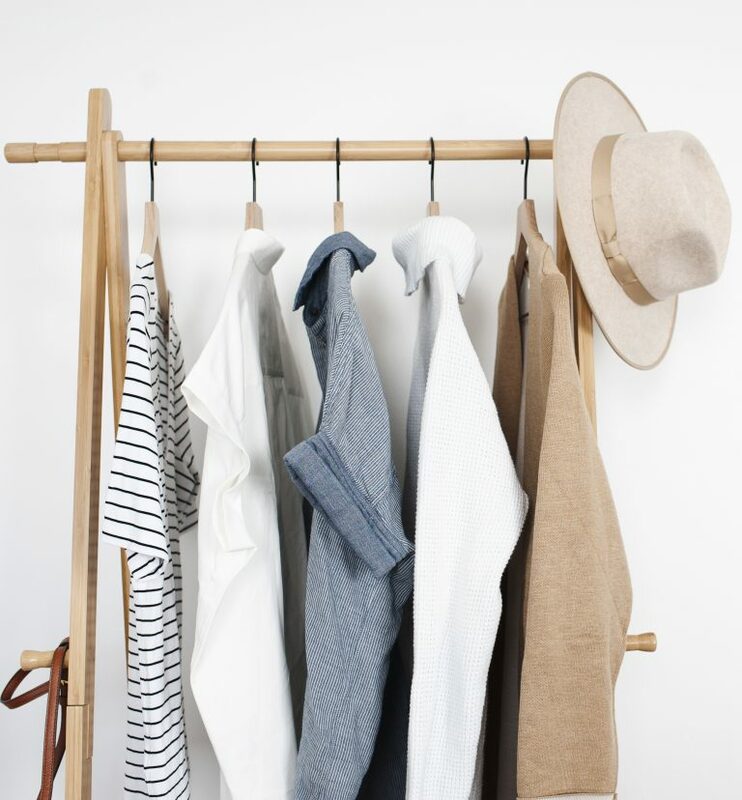 What is the French Minimalist Capsule Wardrobe? 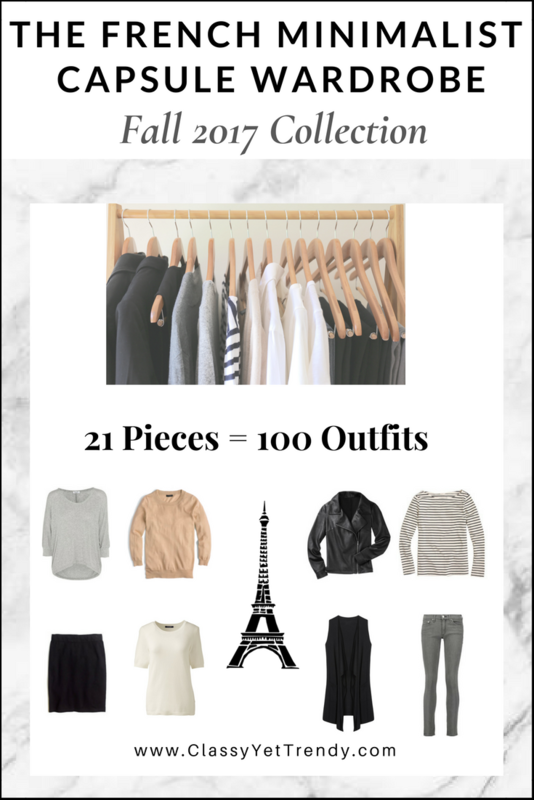 so you’ll have 100 outfits from just 21 clothes and shoes! 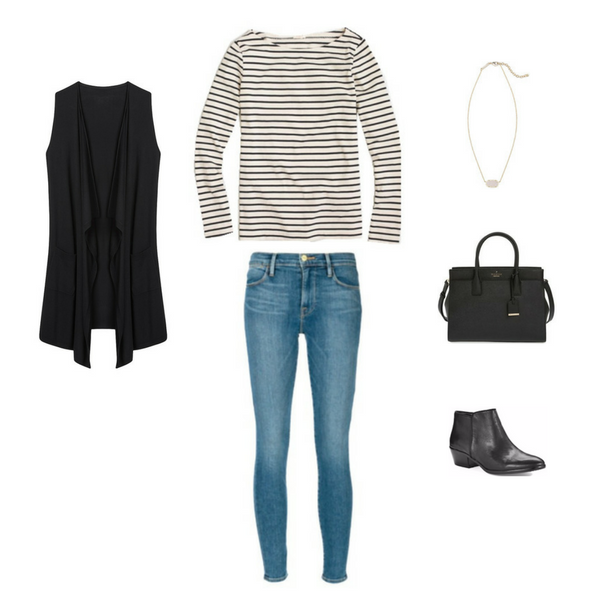 Chapter 1: What Is The French Minimalist Capsule Wardrobe? about the way you look? 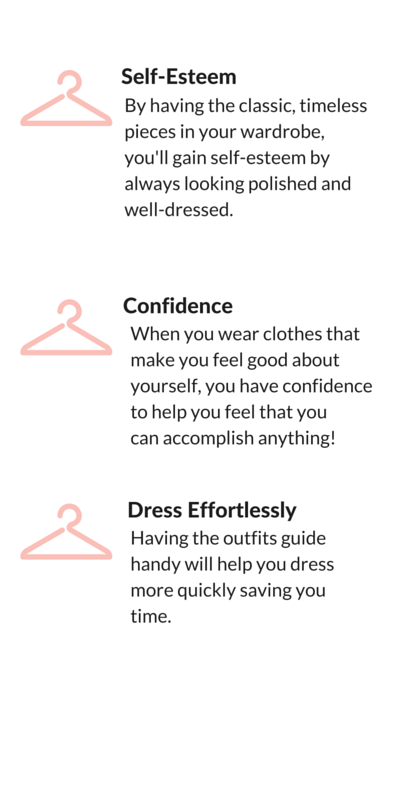 What Will You Gain From a Capsule Wardrobe? Just a few years ago my closet was packed full of clothes, but I felt like I had nothing to wear. Why? Because I had too many clothes with different patterns and shapes and they didn’t mix well. spending on clothes and knew there was a better, less stressful way of getting dressed. that would coordinate with one another. Now, it takes me half the time to get dressed everyday! 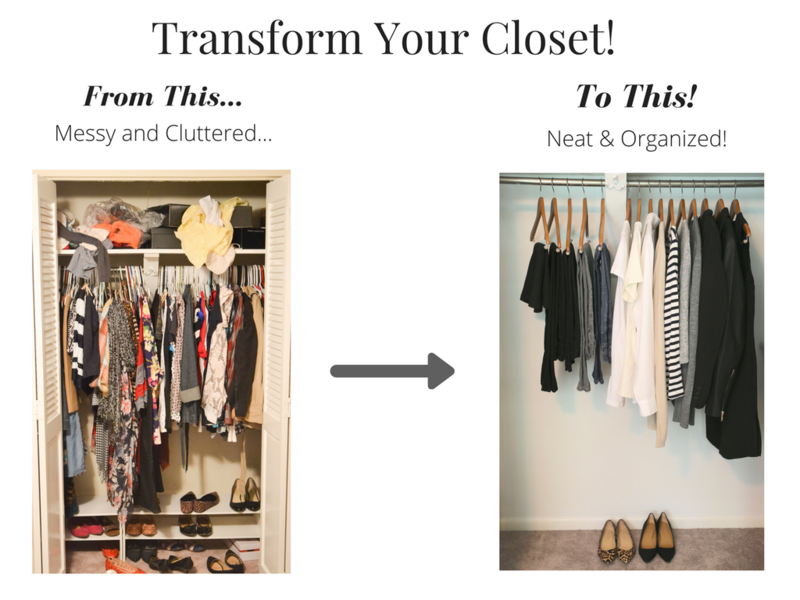 This capsule wardrobe concept has worked for me and I’m confident it will work for you too! I used to spend $1,000 to $2,000 every year on clothes and shoes. Now, I only buy a few pieces a year. AND save money each year? 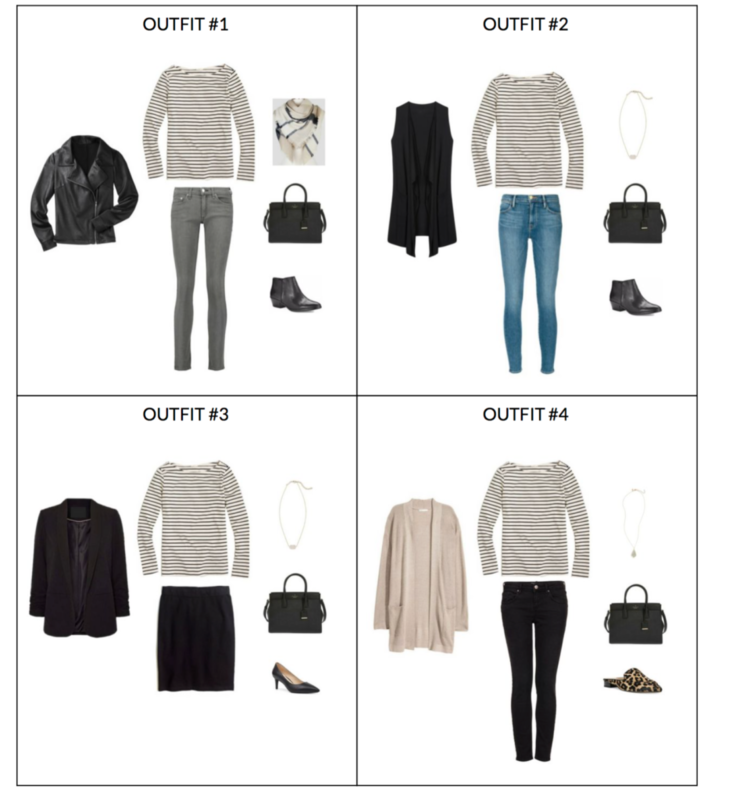 You’re just one click away from your own capsule wardrobe! “Awesome! Your capsules have really helped reduce stress around building and shopping for me. I love them! I do 33 pieces and the size of yours gives me just enough room to add a few of my own items. Thank you! You certainly have a talent!” – Wendy L.
“This eBook is exactly what I needed! I get dressed so much faster now. I’ve always had trouble coordinating my clothes, but your outfits guide makes it simple for me now. Thank you!” – Christy P.
“Wow…I have to tell you how wonderful the eBook has been for me. It’s almost life-changing to get ready for work in the morning now. Great mix and match ideas and a practical approach to buying clothes. Thank you so much and I continue to watch for your blogs! Thanks for all of your long hours and research with it all together” – Susan D.
“I love the ease of getting ready now and putting outfits together. This eBook is full of sharp and cute looks with using basic clothes that you already have in your closet. I Love This eBook and refer to it often.” – Sharon H.
“OMG! Your eBook is a lifesaver! 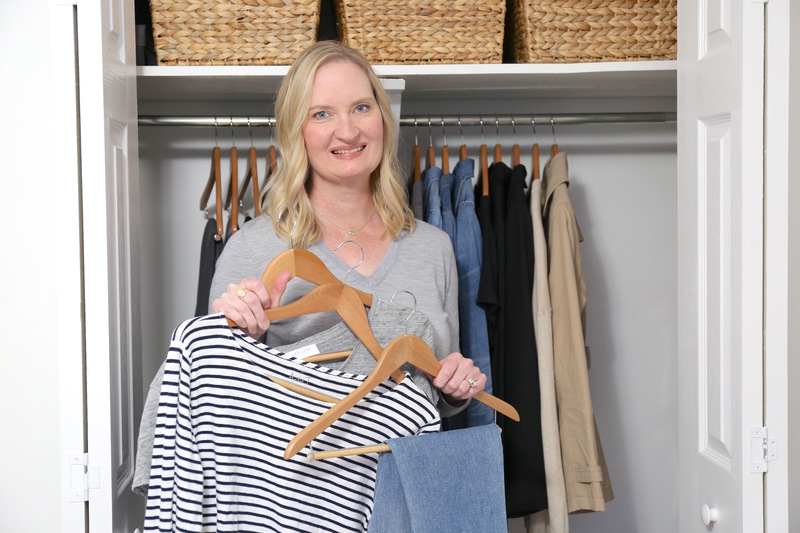 It was so easy to create my capsule wardrobe. I’m so glad it will be able to save me money by not having to buy as many clothes now. I keep the outfits guide next to my closet so it’s easy for me to create my outfits.” – Leslie M.
Are you ready to transform your closet? Will I have to spend a lot of money on new pieces? Nope! These capsules are designed to include mostly basic essential pieces. A few trendy pieces are included, but you can substitute pieces according to your lifestyle; plus, I’ll share with you an online site where you can search for 1,000s of clothes, shoes and accessories at dozens of retailers! You may already have several suggested clothes and/or shoes already in your closet! If you don’t have any of these and are on a budget, consider shopping for these at your local consignment shops, thrift stores or on poshmark.com or thredup.com. Where do I shop for some of the pieces? For each piece in the capsule, there are 3 regular-size and 2 plus-size shopping links each to offer you several choices. I refer only reliable retailers such as J. Crew Factory, J. Crew, Loft, Madewell, Nordstrom, Old Navy, Target, etc. What sizes does each piece come in? Regular-sizes range on average from 0 to 14/16. Please check the item’s sizes available on the retailer’s site. I Don’t live in the U.S. Can I still use this eBook? Check with the retailers linked to see if they offer shipping to your location. SOME PRODUCTS IN THE CLOTHES, SHOES AND ACCESSORIES SHOPPING LINKS MAY NOT BE AVAILABLE OUTSIDE THE UNITED STATES. What if a suggested item doesn’t work for me? You may substitute for another similar piece. You can find similar pieces on shopstyle.com, which is the site I use to find all the pieces in this capsule. 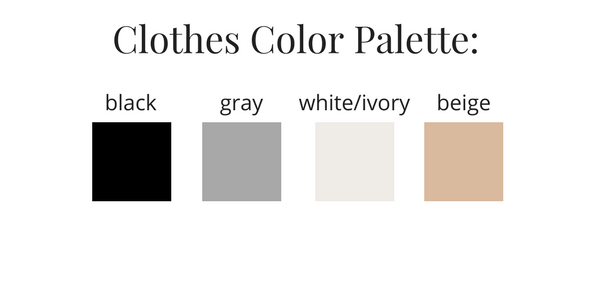 What if I want to use a different color than the one in the eBook? If you would rather substitute clothes with a particular color in the capsule, you can omit those items and use another color in your capsule. You can use similar styles that you may already have in your closet or search for items with a different color on shopstyle.com. How do I receive the eBook? Once you pay for the e-book via PayPal, you will be redirected to a page containing your download link. There, you can download your e-book and save it to your computer or device. You will also receive 2 emails: one that is your receipt and a 2nd one that also contains your download link, so that you can download your e-book. If you don’t receive the email containing your download link, please contact me at classyyettrendy@gmail.com and I will make sure you receive your e-book! 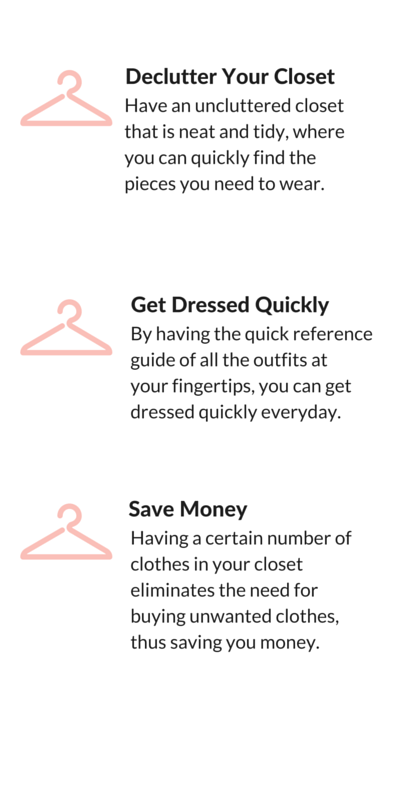 You will receive an eBook in digital format that is loaded with a step-by-step guide to show you how to create a capsule wardrobe, a guide of suggested clothes and shoes to include in your capsule, a checklist, a visual outfits guide, a one-page travel packing guide and guide for 8 ways to save up to save at least 50% off retail prices. Your satisfaction with the Products is important to us. However, because of the extensive time, effort, preparation and care that go into creating and providing the Products, and because the products are in digital format, we have a no refunds or exchanges policy. Unless otherwise provided by law, you acknowledge that we do not offer refunds or exchanges for any portion of your payment for any of the Products and no refunds or exchanges will be provided to you at any time. By using and/or purchasing the Products, you understand and agree that all sales are final and no refunds or exchanges will be provided.